No module is selected yet. Expand the empty 'controllers' area on the left. A solitary [?] (help button) appears. Tap it. 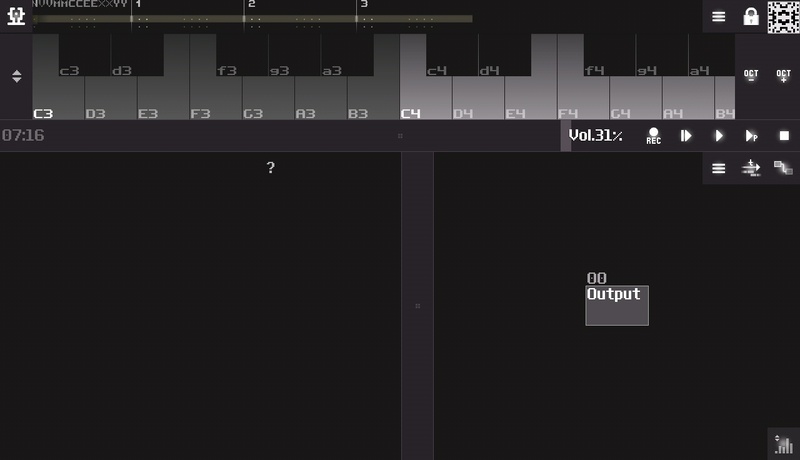 -> SunVox freezes. Easy solution: Don't touch it. When following the same steps, crashes on desktop too, and iOS.